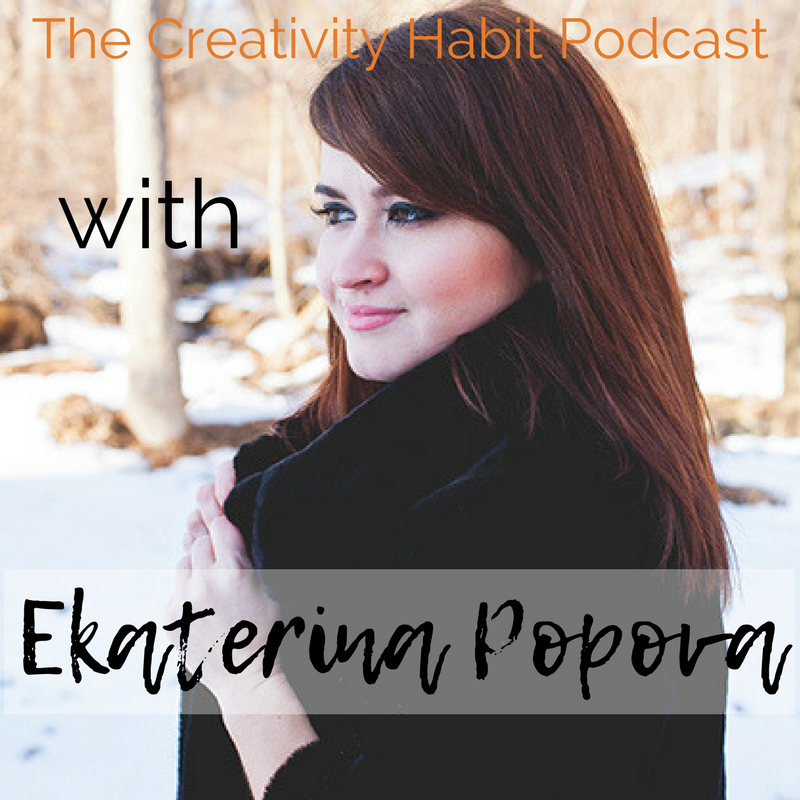 A conversation with Ekaterina Popova on remembering who you are and making a difference with what you create. Daphne Cohn, writer. artist. entrepreneur. creator of thecreativityhabit.com and The Creativity Habit Podcast: conversations with artists about art, creativity and courage. Damn. What a rough week. A week full of tears and angst-ridden thoughts mired in self-doubt, uncertainty, and fear. That kind of rough week. Fortunately, part of my work is interviewing people. People who also have rough weeks but have figured out how not to have them become rough months that make for rough years that end in rough lives. This week I interview Ekatarina Popova or Kat: painter, founder of Create! magazine, entrepreneur. She’s had a lot of rough weeks. At 13 Kat moved from Russia to the United States where she spent many of her formative years in the limbo of home but not home. During that time painting became a way for her to find refuge. But even beautiful paintings don’t make rough weeks disappear. After Kat graduated from art school she worked three jobs to pay the bills. She painted on the floor by her bed, or on the kitchen table, because her apartment was too small to paint anywhere else. Her art wasn’t finding its way into galleries. And art experts were not praising her work. It was easy for Kat to forget that she was an artist even as she was doing the one, and only, thing you must do to be an artist: make art. Fortunately, in 2007, Kat read a book that ensured her rough weeks didn’t become a rough life. That was my nudge from the universe. That was the antidote to a rough week. It didn’t end the rough week. I’m not the Buddha after all. But it did remind me that if I wanted a way out, I had one. We all have one. You can listen to my conversation with Kat about rough weeks, being an artist, and making a difference with your art here.